One day, a friend came around totally devastated because he had lost his phone in a taxi. His main worry is that he had lost some SMS from an important person, not the phone itself. That's when you realize all the small problems that losing our phone can entail. At the end of the day, phones are only devices that we replace with others on a regular basis but what they contain is even more valuable, especially your list of contacts. If you're not an Android user and, therefore, don't have your phone associated with Google, you may run the risk of losing all the phone numbers you may have saved. Not only do you have to store them again, one by one, but some of them will be impossible to recover. 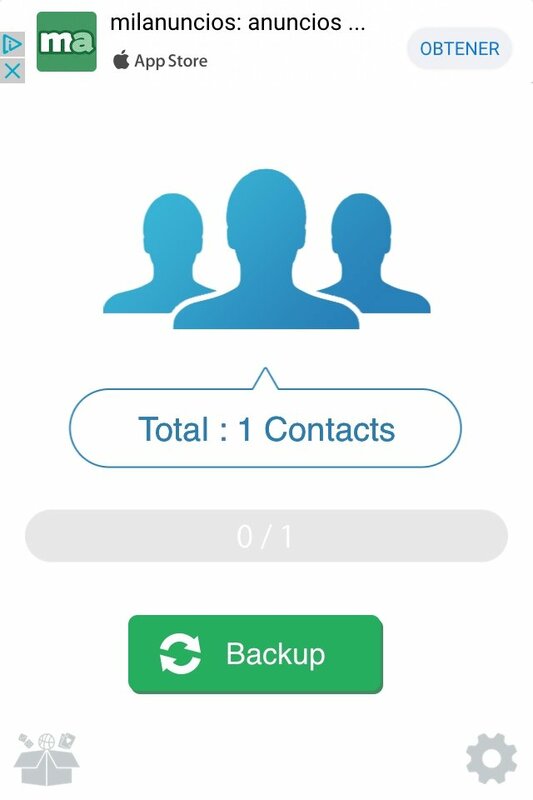 However, iPhone users can now make use of My Contacts Backup to make sure they don't have to suffer the consequences of future losses. Send your contacts in universal format to your friends or yourself by email. This app for iOS couldn't be any easier. Once you open it and grant the permissions necessary to check your contacts, it will automatically detect how many are stored on your phone. Just press the green backup button and the tool will transform that information into a vCard, a universal file that any device is capable of reading. 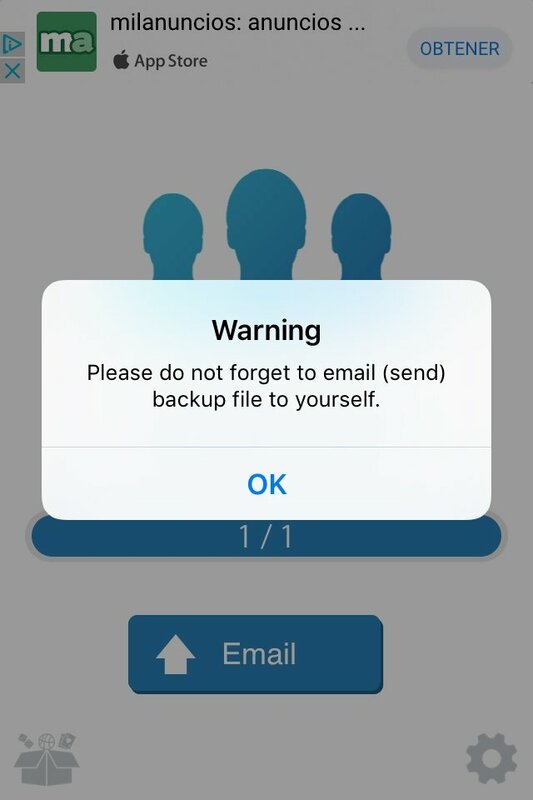 Then you'll only have to send it to your own email (or to whoever you want) from the application itself and you'll be able to keep all your contacts safe. And all the latter, completely free of charge. 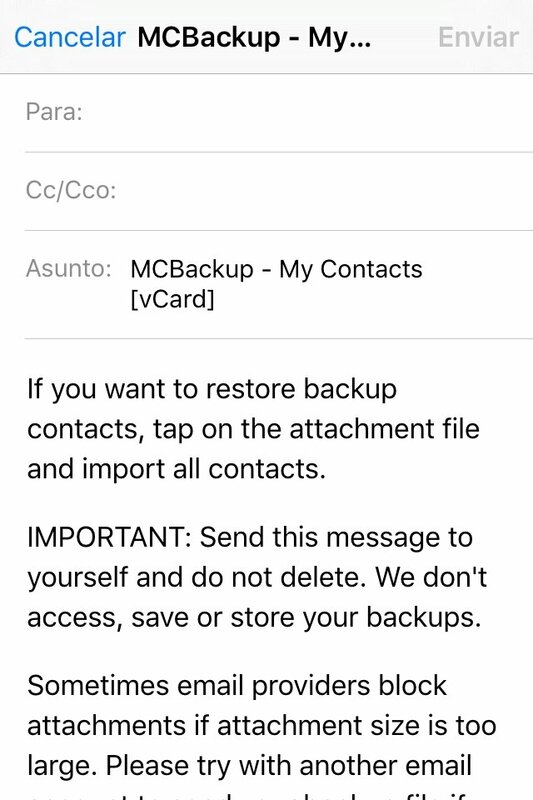 The easiest way to make backups and restore your contacts from your phone without requiring synchronization or a computer. 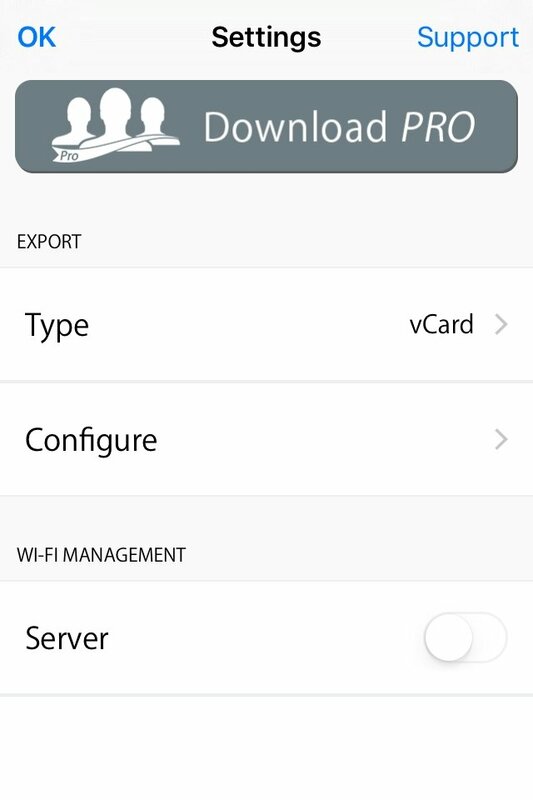 This useful program for iPhone also comes along with a function to remind you to update your vCard weekly or monthly (depending on how many people you usually add). However, the free version only has a capacity for 500 contacts, so if you want to add more you'll have to pay. 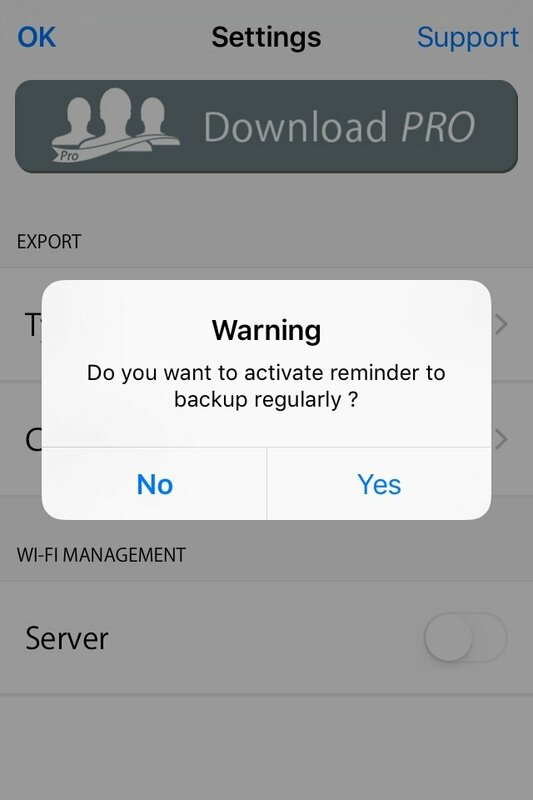 Making a backup on your iPhone had never been so easy so don't wait any longer to safeguard all your contacts.